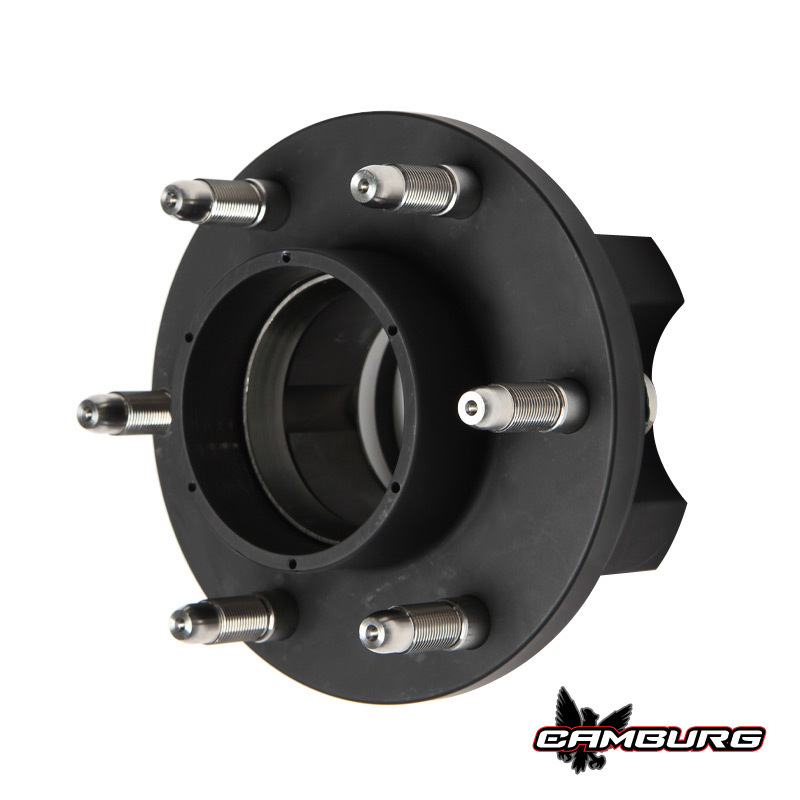 Here’s our new series of Camburg 2.50 wide spread front hubs available in the 6 on 6.5″ TT bolt pattern. 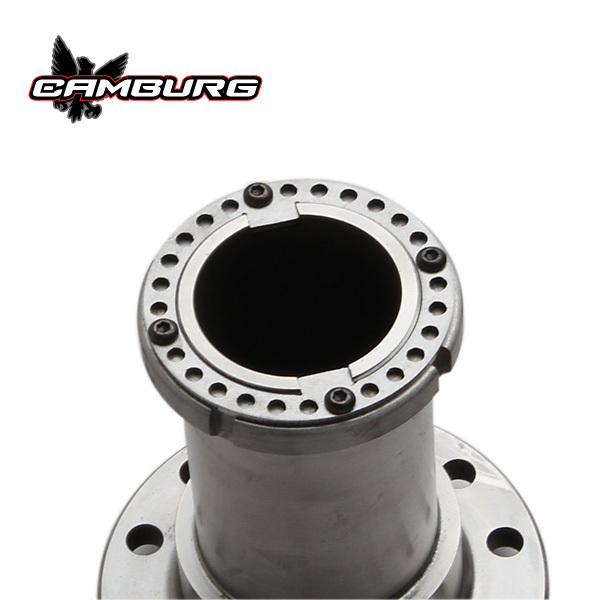 These are the same hubs used on our KINETIK 7200/6100/TT race trucks. 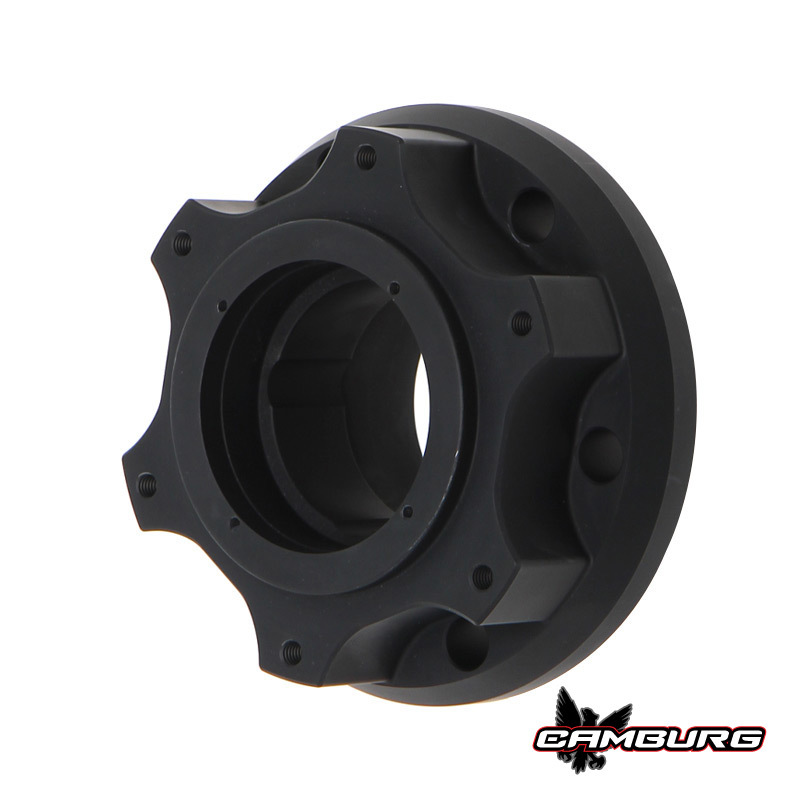 We CNC machine the hub in-house from 7075-T6 aluminum, then bead blast and anodize them matte black. Our wheel studs are also machined in-house from 4340 chromoly, then heated-treated and stress relieved. They have 5/8-18 threads with an 11/16 shoulder. We use Timken bearings and races along with SKF seals. 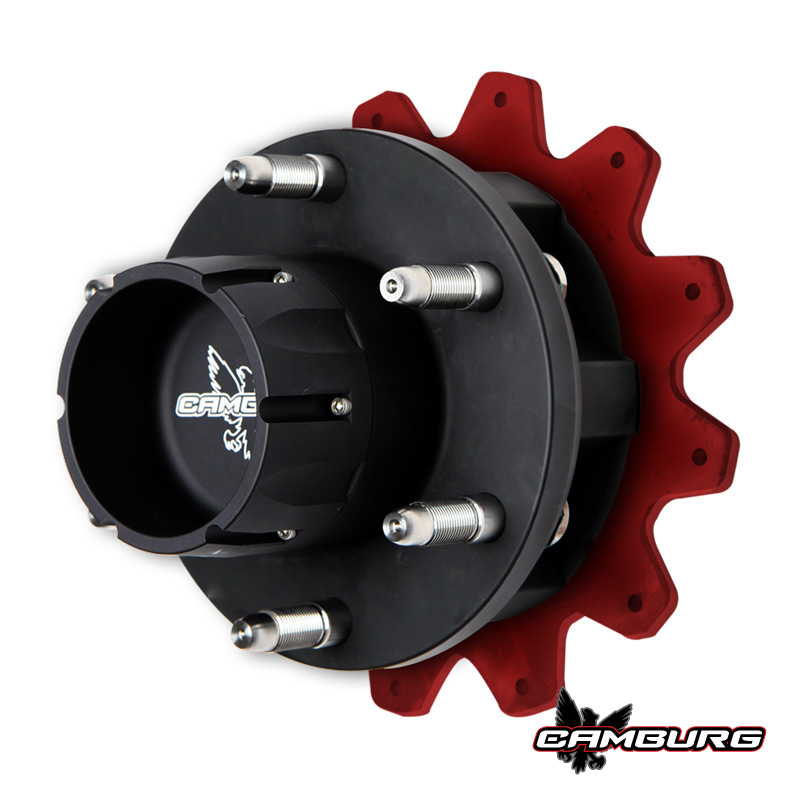 The 4.25″ hub-centric center caps round out the package with all the necessary hardware, o-rings, etc and bearing spacers.